Because there are fewer things more American than a man dressed as Captain America urging a disillusioned populace to go place a vote for the candidate they hate the least. 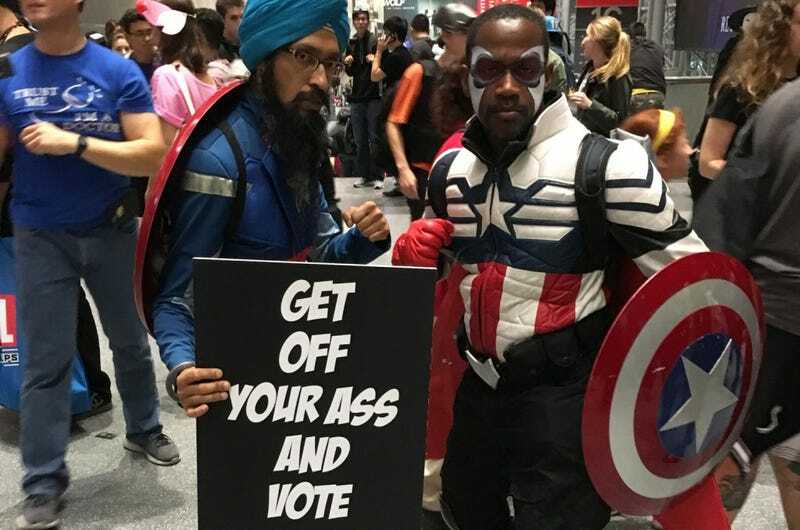 This is Sikhtoons’ Vishavjit Singh—who we’ve featured before on the site—using both his political drive and cosplay skills to remind/convince folks attending the New York Comic Con a few weeks back to vote. Because hey, after all the absurd theatrics and media frenzy barrel-scraping is done, there is actually an election to be had. Below you’ll find some of the shots he had taken while at the con. If you are/recognise anyone in the shots, let me know and I’ll add a credit!